Weingut Dr. Koehler is the maker of this Dr. Koehler Dornfelder Kaisermantel Halbtrocken , a red wine from the region of Rheinhessen vinified from dornfelder. 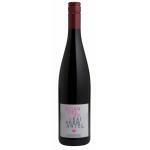 The Dr. Koehler Dornfelder Kaisermantel Halbtrocken is the ideal red to combine with seafood and mushrooms. According to Uvinum users, this red wine earns 4,3 out of 5 points. What are the opinions of other vintages or volumes of Dr. Koehler Dornfelder Kaisermantel Halbtrocken?